Treehouse Design Plans | How to Build Your Dream TreehouseTreehouse by Design - So, you thinking about building a tree house? So, you wanna build a treehouse? Having the right equipment makes your job as easy and as long lasting as possible. After all, who wants to put in days, weeks or even months of hard work only to see your structure buckle under poor design and build? 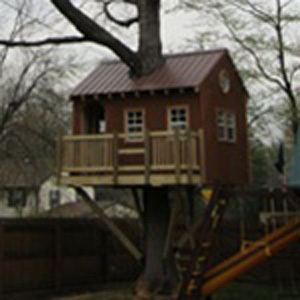 Treehouses can last for twenty or more years with the right hardware. Why settle for less?